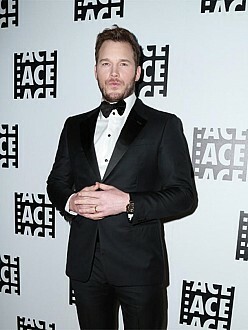 Chris Pratt missed the MTV Movie Awards to take part in a half-Ironman triathlon. The Guardians of the Galaxy star — who was nominated for four prizes at the Los Angeles ceremony — undertook the grueling event in Haines City, Florida on Sunday, April 12 and completed the 1.2 mile swim, 56 mile bike ride and 13.1 mile run in an impressive seven hours, four minutes and 52 seconds. He even found the time to help one of his fellow competitors when she was stricken with cramp during the course. Chris admitted before the triathlon that it was going to be a ”major challenge” but he felt prepared for it.